The divorce between Johnny Depp and Amber Heard took an ugly turn on Friday. Heard, who filed for divorce earlier this week, was granted a domestic violence restraining order on Friday, TMZ reports. The actress applied for the restraining order earlier Friday, according to People. The request for the restraining order was accompanied by a photo of Heard appearing to have a bruised right eye. Heard, who married Depp in February 2015, filed for divorce on Monday, claiming irreconcilable differences. The filing came just days after the death of Depp’s mother. TMZ reports that Heard claims she suffered repeated domestic violence. The actress claims that the photo with the bruised eye was taken after Depp attacked her on the evening of May 21. Heard says that Depp smashed his phone into her face and smashed a number of objects. Heard claims that she was on the phone with a friend and asked her friend to call the police after the “Pirates of the Caribbean” star grabbed her phone, TMZ reports. The friend did so, the actress said, but Depp had allegedly already left by the time police arrived. Heard claims that the actor offered her hush money, according to TMZ. A spokesperson for Depp has not yet responded to TheWrap’s request for comment on Heard’s domestic violence claim. 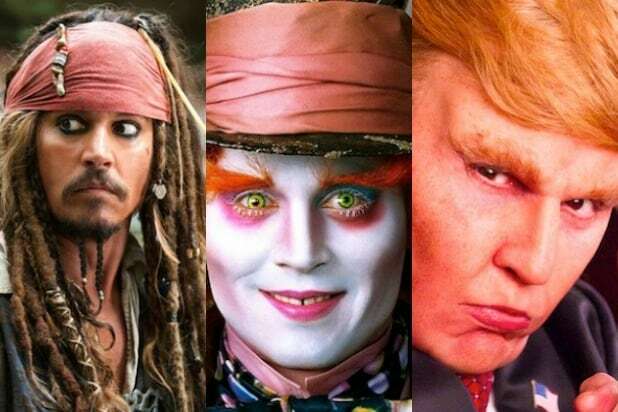 The filing comes on the day Depp’s latest film, the “Alice in Wonderland” sequel “Alice Through the Looking Glass,” arrives in theaters. Depp and Heard co-starred in the 2011 film “the Rum Diary” inspired by the novel by Hunter S. Thompson.